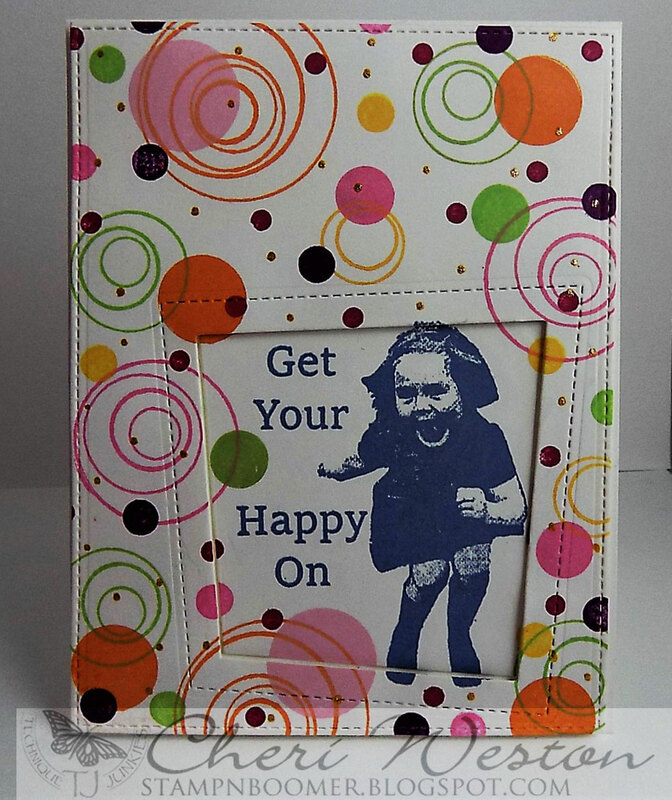 Stamp'n Boomer: GET YOUR HAPPY ON! Did you get to hop along with the May stamps release? There are 15 new stamps added to the Technique Junkies store and you can get them all (or any) at 15% off today only. It's the last day for the new release discount. So, if you were thinking of grabbing them...don't miss out on the 15% discount. All you have to do is select your stamps, put them in your shopping cart and that's it. The discount will automatically be applied. 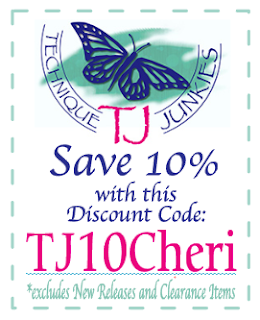 Pick up any other stamps you might like from the store and get a 10% discount by using my discount code - TJ10CHERI. 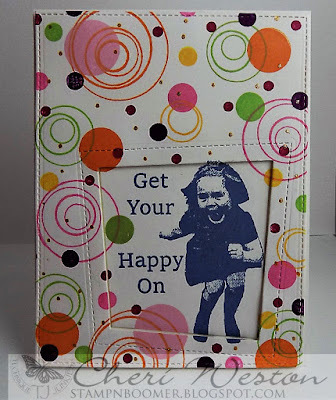 "Happy On", one of the new stamps from this new release and it gives me the giggles! What a fun stamp to use for any card celebrating something wonderful and happy; birthdays, retirements, good news....almost every happy occasion. I paired my card with the incredibley fun "Here We Go Round in Circles". For a fun sparkle, I added small dots around the stamped circles using a gold Nuvo Glitter Pen. Don't forget to grab "Happy On" or any of the other May Stamps for a 15% discount and any other stamps you'd like from the store with my 10% discount (just add my code at checkout). Visit and join Technique Junkies on FaceBook. Join our monthly challenge and visit our YouTube Channel for some great techniques.